Earlier this month, I finished another fun and informative MMT: The Eclectic Approach to Spinal Manipulation in Santiago, Chile. 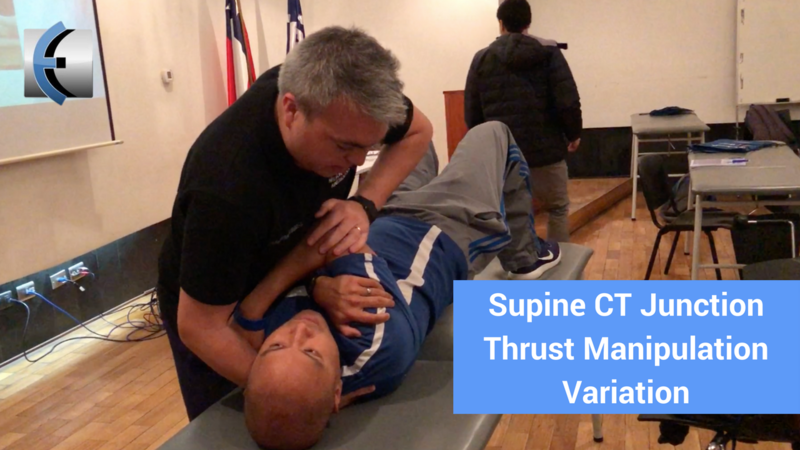 My good friend, The World Manual Therapist in the World (hilarious Untold Physio Stories Podcast ep), Nelson Adrian showed me a variation of The CT Junction Thrust Manipulation in Supine. After this, make sure to instruct repeated cervical retraction with overpressure dosed throughout the day to keep in new mobility.